What's your nickname for Alpha? The worst thing the Whisperers do. Anyone else tired of them being in the woods? what is this dynamic between Alpha and Beta? Anyone Have Walking Dead Withdrawal? 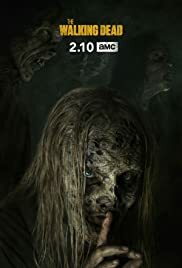 So, going back a few episodes ... how do the Whisperers control the hordes ? Who's in Charge of Hilltop?